If your having a picnic and need a great take along here is the perfect smores in a hurry! Nutella, marshmallows and graham crackers. 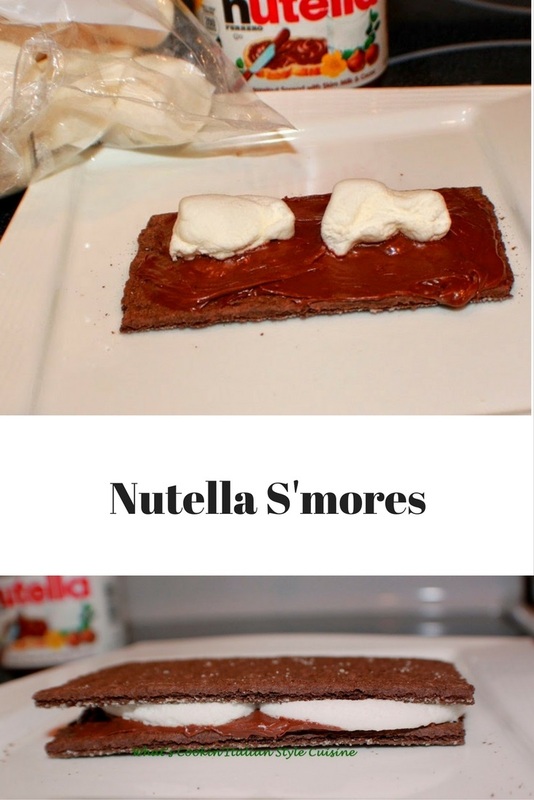 Either make them a campfire fun or microwaved at home these are perfect! You can even use fluff if your traveling if there is no way to roast them or heat these up! ( those are just a mock up style with fluff!) If your at home and the kids want a treat these are the perfect summer vacation time fun and microwaved in only 11 seconds! Let this picnic begin! On a microwave safe plate, place a graham cracker spread with Nutella, mini marshmallows on one side. Mini marshmallows to fit the top layer or 1- 1/2 large marshmallows cut in half... if traveling use marshmallow fluff! Microwave for around 11 seconds depending on the wattage of your microwave but no longer than when the marshmallows begin to puff up and enlarge. Take them out of the microwave and add the top with another graham cracker, that's it they are ready to serve!